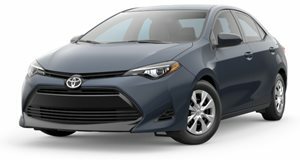 The Toyota Corolla compact sedan is available with a 132 hp, 128 lb-ft 1.8-liter four-cylinder engine which is available with either a 6-speed manual or CVT automatic transmission depending on trim level. 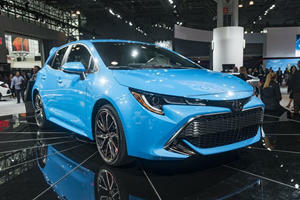 Performance and economy are slightly below par for the segment. Offering a refined and competent drive, the Corolla is priced at a premium to most competitors but standard safety systems are class-leading and include lane departure warning and forward collision monitoring. A spacious interior and decent infotainment system round off a very competent offering. 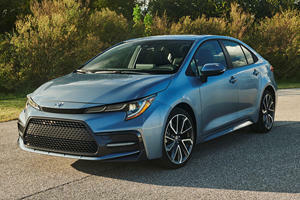 Despite being all-new, the 2020 Toyota Corolla Sedan doesn’t cost much more than last year’s model.